My current application runs on iOS 5 and 6. The navigation bar is having an orange color and the status bar is having a black background color with white text color. However, when I run the same application on iOS 7, I observe the status bar looks transparent with the same orange background color as the navigation bar and the status bar text color is black. Due to this I'm not able to differentiate between the status bar and the navigation bar. How do I make the status bar to look the same as it was in iOS 5 and 6, that is with black background color and white text color? How can I do this programmatically? I had to try look for other ways. Which does not involve addSubview on window. Because I am moving up the window when keyboard is presented. Calling this form application:didFinishLaunchingWithOptions worked for me. N.B. We have an app in the app store with this logic. So I guess it is okay with the app store policy. Then Goto your app delegate and paste the following code where you set your Windows's RootViewController. 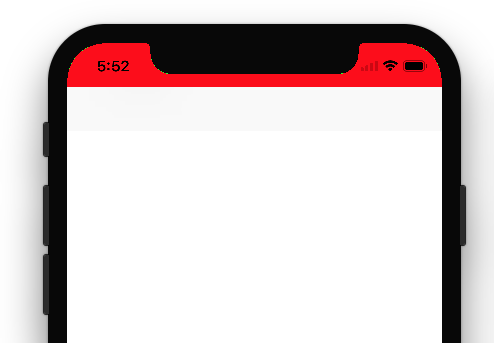 In iOS 7 the status bar doesn't have a background, therefore if you put a black 20px-high view behind it you will achieve the same result as iOS 6. Also you may want to read the iOS 7 UI Transition Guide for further information on the subject. You can set background color for status bar during application launch or during viewDidLoad of your view controller. It fixed status bar color for me and other UI misplacements also to a extent. where "navbar" is a UINavigationBar. i hope it can help you! With thanks to Warif Akhand Rishi ! for the amazing find regarding keyPath statusBarWindow.statusBar. Good one. // handle the iOS bar! // it does NOT refer to the background color of the bar. This causes a lot of confusion. // so, in storyboard, never think about the issue. design to the full height in storyboard. // next - very simply in the app Target, select "Status Bar Style" to Default. // the "Status Bar Style" toggle simply sets the plist for you. // set the bg of the Apple bar to white. Technique courtesy Warif Akhand Rishi. // note: self.window?.clipsToBounds = true-or-false, makes no difference in method A.
the colour you already have behind it. 2) I didn't need to call "setNeedsStatusBarAppearanceUpdate". For bar color: You provide a custom background image for the bar. static var navigationBarBackgroundViewName = "NavigationBarBackground"
It basically makes the navigation bar background transparent and uses another UIView as the background. You can call the setNavigationBarBackground method of your navigation controller to set the navigation bar background color together with the status bar. Keep in mind that you have to then use the setNavigationBar(hidden: Bool, animated: Bool) method in the extension when you want to hide the navigation bar otherwise the view that was used as the background will still be visible. Not the answer you're looking for? Browse other questions tagged ios ios7 uicolor ios-statusbar or ask your own question. how to change the color of iPhone status bar? How to change the status bar background color on iOS 7? Is it possible to change the status bar text color?